Fermented vegetables, which you can easily make at home, typically contain higher levels of probiotics than probiotic supplements, making them ideal for optimizing your gut flora. According to a 2009 study,2 the organophosphate insecticide Chlorpyrifos degraded rapidly during kimchi fermentation, and was over 83 percent degraded by day three. By day nine, it was degraded completely. Bone broth is extremely healing to your gut and forms the foundation for the GAPs diet, which is based on the Gut and Psychology Syndrome(GAPS) principles developed by Dr. Natasha Campbell-McBride. Aloe vera aids the absorption of nutrients, and helps heal your gut lining to prevent leaky gut and other intestinal problems, including Crohn’s disease, colitis, irritable bowel syndrome (IBS), and acid reflux. Chia seeds contain about 10 grams of fiber in just two tablespoons, and they’re rich in anti-inflammatory phytochemicals for soothing gastrointestinal distress. A recent meta analysis5 concluded that taking 750-2,000 milligrams of ginger powder during the first four days of your menstrual cycle was an effective treatment for cramps. Turmeric for rheumatoid arthritis Research9 shows curcumin, the active ingredient in the curry spice turmeric, possesses potent anti-inflammatory and anti-arthritic properties. One highly bioavailable form of curcumin was found to be more effective in alleviating rheumatoid arthritis (RA) symptoms than the NSAID drug Voltaren. Not only that, but those who took the curcumin actually experienced the most improvement across the board, with no adverse side effects. Wild-caught Alaskan salmon for inflammation Salmon is an excellent source of healthy omega-3 fats that are important for the prevention of inflammation in your body. Omega-3 fat is also important for brain and heart health. Avoid farmed salmon, however, as it contains far less omega-3 than wild salmon, along with a number of potentially hazardous contaminants. The two designations you want to look for are “Alaskan salmon,” and “sockeye salmon,” as Alaskan sockeye is not allowed to be farmed. Shiitake mushrooms for improved immune function Shiitake mushrooms10 contain a number of health-stimulating agents, including lentinan, which has antitumor properties.11 It also has antiviral, antibacterial, antifungal, and immune-boosting effects.In one recent study, shiitake mushrooms were found to significantly improve participants’ immunity parameters, including a 60 percent increase in γδ-T cells; 100 percent increase in natural-killer T-cells; increased IgA levels (corresponding to increased immunity); reduced C-reactive protein levels (corresponding to reduced levels of inflammation); and increased levels of anti-inflammatory cytokines (interleukin (IL)-10, IL-1alpha, IL-4, and tumor necrosis factor [TNF]-alpha). >Clearly, a wide variety of foods are needed to optimize your baby’s development, but some stand out above others. 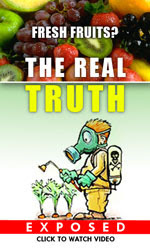 Also keep in mind that eating REAL FOOD is key here. If ever there was a time to ditch processed foods and cook from scratch using whole organic ingredients, this would be it. That said, the following six foods have been shown to be particularly important during pregnancy. While not a food, vitamin D is likely more important than any food you can eat during your pregnancy. Ideally you obtain it from sensible sun exposure. But it is highly likely that is not possible for most so taking enough oral vitamin D and K2 to get your blood level over 50 ng/ml is one of the most important steps you can take for your pregnancy. Typical doses are 8,000 units of D and 150 mcg of K2. Broccoliand/or broccoli sprouts Broccoli has twice the vitamin C of an orange, and almost as much calcium as whole milk (with a better rate of absorption). It also contains folic acid and iron, and all of these nutrients are important for a healthy pregnancy. Keep in mind that broccoli is best when eaten raw, because cooking and processing destroys some of its antioxidants. Fresh broccoli sprouts are even more potent, nutritionally speaking, than mature broccoli, allowing you to eat far less in terms of quantity. Avocado Avocados also contain a number of nutrients your baby needs for healthy development, including omega-3 fats for brain development, fiber, folic acid, potassium, and vitamins B6, C, and K. As noted in the featured article:13“During pregnancy… you face an increased risk of developing indigestion and hemorrhoids. Wild-caught Alaskan salmon As noted earlier, salmon contains important omega-3 fats, of which EPA and DHA are particularly important for baby’s brain development and visual acuity. Berries Berries are rich in antioxidants and potassium, the latter of which may lower your risk of pre-eclampsia. Berries are also a good source of vitamin C, folate, and fiber. Chia seeds In addition to being a source of healthy fiber and anti-inflammatory phytochemicals, chia seeds contain plant-based omega-3 fats, which are just as important as animal-based omega-3s. Ideally you want both in your diet. Besides being important for your growing baby, omega-3s can also help you avoid depression (“baby blues” and/or post-partum depression), which is thought to be triggered by inflammation. Organic pastured eggs Eggs are an excellent source of high-quality protein, which are the building blocks for cells. They also contain choline, which is important for your baby’s brain development and cognition, and vitamin D3, which can help protect your child against a number of future health conditions, including both type 1 and 2 diabetes. Vitamin D deficiency during pregnancy also raises your risk of complications and premature birth.